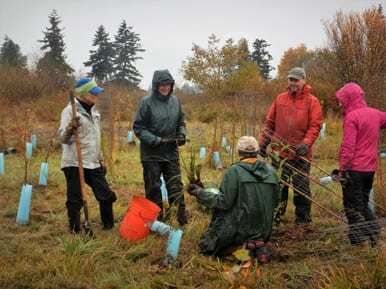 Celebrate Orca Day and join NSEA, Whatcom Land Trust, and Whatcom Conservation District in improving salmon habitat by planting trees along Butler Creek and protecting them from beavers and deer. From Bellingham, head North on I-5 and take Exit 262 (Ferndale Main St). Turn right onto W Axton Road/Main Street and continue for 4.5 miles, where the road will become Mountain View Rd. Turn right onto North Star Rd. Field parking available on the right hand side ½ mile further. Looks for the blue NSEA tents to sign-in. We’ll bring the tools and gloves – all you have to do is wear sturdy shoes and weather-appropriate clothing. Snacks courtesy of The Bagelry, Starbucks Coffee, and the Community Food Co-Op. Coffee provided thanks to NSEA’s official coffee sponsor, Tony’s Coffee. Bring your friends, family, and enthusiasm and we’ll see you at the creek! All ages are welcome. Any volunteers under 18 years old must bring a completed Liability Release Form (www.n-sea.org/work-parties). 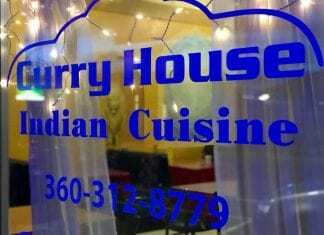 The Kang family has owned the Curry House on Main Street in Ferndale for over 12 years.